Summer will be here soon. Find your sweet spot. Our lake is full. Summer temperatures are in the 80’s, lake temperatures are in the 70’s. 52 miles of shoreline makes it easy to find your sweet spot. Traffic? Very little. Stop lights? No. Off the grid? Yes. Crisp, clean air? Yes. Things to do? You tell me! 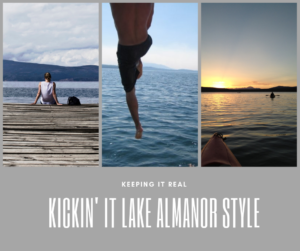 Go to LakeAlmanorArea.com/Visit and see why so many people are beginning to call Lake Almanor home. And, when you’re ready, book a vacation….or take a home tour with one of our agents. They are some of the best travel guides around.